There’s nothing worse than trying to shoot an image that just won’t come out right. Even if you have learned the basic photography principles, they can seem like a lot to remember when it’s time to push the shutter. Let’s simplify this. For most situations, I can coach you to a better shot in seven questions. I put them on your Photo Help Lifeline. Take them with you as you shoot.If you are ever shooting and get stuck. These seven questions can help you diagnose most shooting problems and create great pictures. 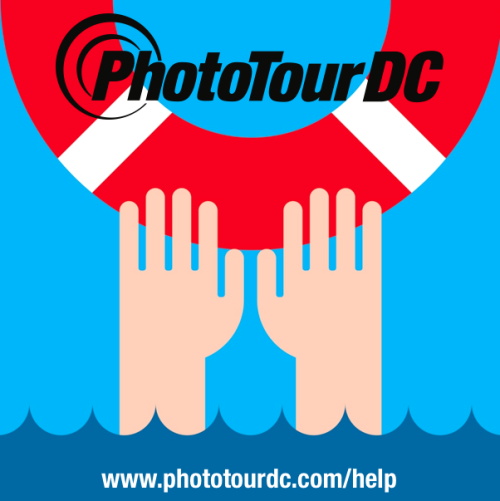 These will make more sense to my DC Icons - 10 Steps to Great Pictures alums. We cover these principles and more during our half-day workshop. I think they are simple enough to provide the nudge most photographers will need. 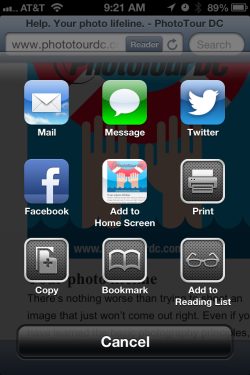 If you have an iPhone, you can add this page to your home screen. This will make sure your advice is always a thumb tap away. Don't forget to save it to your home screen. 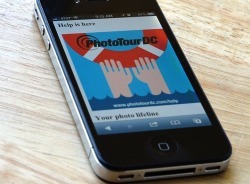 Your photo lifeline at your fingertips.